World Building Question: What Day Is It? Subtitle: Is It Friday Yet? Most of the time periods we track on earth make sense. Years are based on how long it takes the earth to go around the sun. Months originated with moon cycles. Days are based on the rising and setting of the sun. These are all observable periods of time, and showed up in isolated cultures. That doesn’t mean that I won’t talk about years and months while reverse world building the earth, but they’re not what I’m talking about in this post. Here I want to focus on that period that falls between months and days, and is far more arbitrary and interesting. We’re talking about weeks. Weeks are strange. They’re arbitrary seven day chunks that bridge across the ends and beginnings of months and years. A year is made up of fifty-two of them, with one or two days left over. Most months are made up of just over four of them. It would be more apparently logical to consider a week to be five days, after all that divides evenly into the 365 days of a year (yes yes, leap years, that’s for another day). We saw from talking about the number of hours in a day that the ancients tended towards base twelve counting, with sixty as a significant number, so we might reasonably expect a twelve day week. But we have seven. Medieval Lithuanian calendar with 9-day week. Looking at the seven day week is already getting ahead of ourselves, as it takes something for granted. Why have a week at all? I’ve been looking into that question, and have yet to find a satisfying answer to it. The week appears to be entirely an invention of contrivance. They appeared in several cultures because it was helpful to have a period of time longer than a day but shorter than a month, and because it’s nice to have a way to break a calendar into columns. They ranged in length from three days in ancient Basque tradition to ten days in ancient Egypt. Sometimes they evenly divided months, sometimes they didn’t. The standardization on a seven day week world wide is tied to the same reasons why this is the year 2012 and why our calendar is named after a Pope. It all has to do with the strength of the Christian tradition when it made sense to standardize such things. To sum up: today we have a seven day week because the early Christians had a seven day week, because they used the same origin stories as the Jews, who likely got their idea of a seven day week from the Babylonians. So where did the Babylonians get seven days from? Lunar cycles. 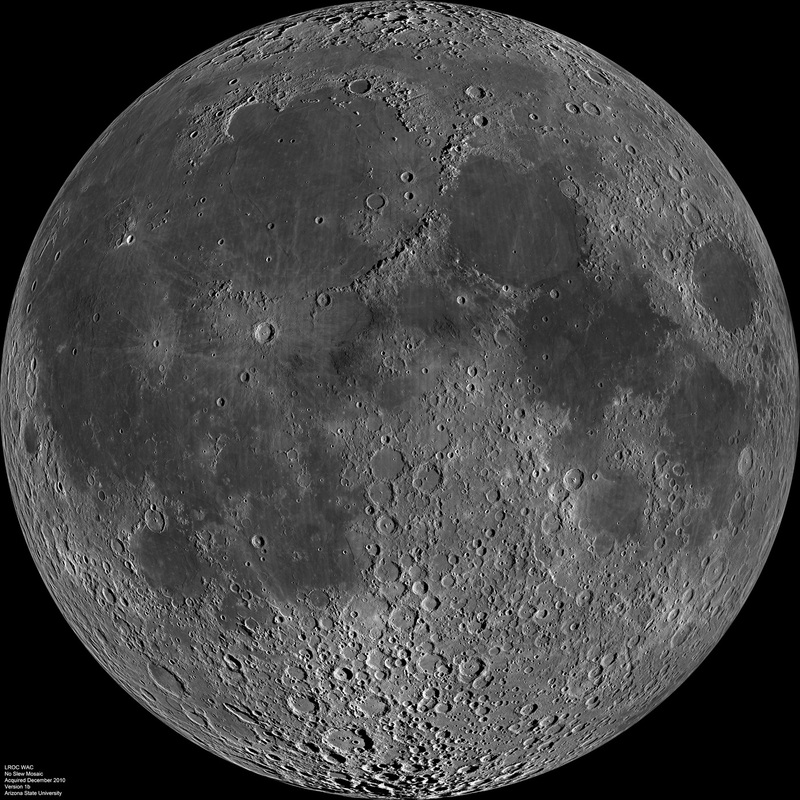 Look at a calendar that shows moon phases, and you’ll see for the most part they line up in a single row. This doesn’t exactly work, so the Babylonians tended to follow three seven day weeks with an eight or nine day week to keep things in phase with the moon. Judaism standardized seven days to every week in the Genesis creation story, the earliest culture I could find that used seven days for every week. Seven took awhile to take hold. On the right is a calendar from medieval Lithuania with a nine day week. During the French Revolution, at the same time they were playing with decimal time, they also briefly observed a ten day week. As recently as the 20th Century in the Soviet Union five and six day weeks were implemented. So it’s only been since the 1940s that all major world powers have agreed on a seven day week, and even then there’s disagreement about what day a week starts on. So now we’ve got a week, but that doesn’t answer our opening question. What day is it? We’ve got handy labels at the top of the columns on our calendars, where do the names come from? Well…it depends on where your language came from. If you’re speaking a Romance language, then the days of the week come from the seven classical planets. Thus they days of the week were named, in order, for the Sun, Moon, Mars, Mercury, Jupiter, Venus, and Saturn. Five of these seven are still prevalent in Spanish: Lunes, Martes, Miercoles, Jueves, and Viernes. The weekend has been renamed to reflect Jewish and Christian tradition, with Saturday named for the Jewish Sabbath (Sabado), and Sunday named God’s Day (Domingo). This renaming of the weekend is common in the romance languages. 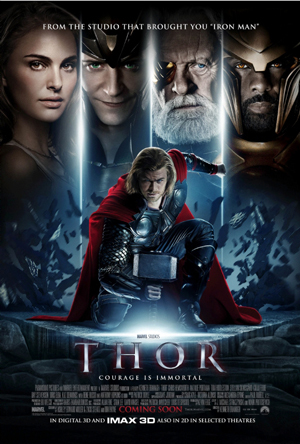 Not a recommended way to celebrate Thor's Days. The Germanic languages, English included, largely did the opposite. Our weekends are still given to Saturn and the Sun. Monday is still the Moon’s day. The rest of the names reflect the Norse influence on the Germanic tongues, with days belonging to the gods Tiw, Wodan, Thor, and Frig. These days of the week represent the largest influence that Norse mythology still holds over modern culture, so prevalent that we might not always remember these origins. One more question while I’m talking about weeks: Is it the weekend yet? We have the fifth commandment to thank for that. Remember the Sabbath and keep it holy, a proscription against working on the day that God rested after creating the world. We get two days instead of one because Jewish tradition has a Saturday sabbath, Christian tradition holds to Sunday. To think, if they agreed on this issue, we’d possibly have a six-day workweek. So three cheers for theological disagreements. Weekends are not uniform across cultures. In most of the western world they fall on Saturday and Sunday, because those are the days that several major industrial powers shut down. However in Islamic nations, where a majority of the population holds Friday as a holy day, Thursday-Friday or Friday-Saturday weekends are more common, and some observe a six-day workweek with only Friday taken off. The oddest outlier is the tiny nation of Brunei which has a split weekend, taking Friday and Sunday off, but working Saturday. Time to bring this all back and look at this from a world building perspective. Here on my fictional planet called “Earth” there has long been an agreement that a subdivision of time between the day and the month is logical. They call these “weeks.” Different cultures have experimented with different length weeks as recently as 70 years ago, but the calendar that all societies now use is based on seven days. This is due to the creation stories of one religion, even though the names of the days largely come from another religion. They work for five or six of these seven days with the others meant for meditation and spiritualism, though they can’t agree on which day(s) these are, and many don’t bother with observing either. So should your world or culture have weeks? Does it need weeks? It depends on how long periods of time are observed, and the nature of the society. They’re, in large part, an artifact of keeping physical calendars. If you have them, the questions to ask: How long are they? Why are they that long? It could be astronomically significant, it could evenly subdivide a longer period of time, it could be religiously significant (though religious significance is often reverse engineered), or it might be completely arbitrary. Coming up in the future of this series: What year is it? When is lunch? Where am I? And who are you? Yes, these are sounding more and more like the cliched questions of an amnesiac. I’m enjoying this series, as it gives me an excuse to research little bits and pieces of life that are so culturally engrained that we don’t consider they had origins and that different cultures disagree. World Building Question: What Time Is It? So last week we here on the east coast of the United States were 16 hours behind Sydney, Australia, now we’re 15, and in another few weeks it’ll be just 14. And just when it looked like we were catching up to the Aussies, it’ll all reverse and go back to 16 hours in a few short months. Alright, so what’s my vague justification for talking about DST under the auspices of World Building? It brings up an important question when it comes to non-earth worlds: What time is it? How granular is time? In a less advanced civilization there may be just four broad times: morning, midday, evening, and night. If you’re not trying to plan specific and detailed events, that’s all you really need, and it’s more about our perception of time than actual hours. “Morning” changes by hours a year, to when it starts, when it ends, and how long it is, thanks to lengthening and shortening of a day and by ones latitude. A more advanced society requires more advanced time keeping. Broad subdivisions of time independent of the rising and setting of the sun come first. We call these hours on earth, and arbitrarily divide a day into 24 of them. There are 24 because the Egyptians liked to use base 12, and split the equinox day into equal halves, twelve portions of daylight, twelve portions of darkness. Why 12 when we have 10 fingers? Because they counted knuckles, not digits. It’s handily a mathematically significant number because there are more factors of 12 than 10, but it’s largely arbitrary due to one culture’s affinity for a number and later cultures’ affinity for that culture. Once a society becomes more advanced, it needs more granular time. This won’t necessarily lead straight to minutes, but could be quarters of the longer time blocks, or perhaps eighths. Even modern society we tend to use only halves and less frequently quarters for most of our daily activities. Sixty minutes on earth come from old methods of hand counting from cultures that lacked calculators and needed ways of tallying numbers larger than ten using the digits on their hands. It’s the old 12 knuckles on one hand, multiplied by 2, 3, 4, or 5 on the other. Thumbs need not apply. We further divide things into seconds, again with 60 per minute. After that, time becomes decimal, belying the fact that smaller units of times than seconds weren’t really necessary until after the scientific revolution. Thus we end up with milliseconds and picoseconds. There are some who suggest that all of time should be decimalized the way subdivisions of seconds are. A day would be 10 hours of 100 minutes of 100 seconds, which the length of each being determined by taking the period of revolution of the earth and dividing by the correct number. While there’s a certain logic to this decimalization, there is so much cultural momentum to overcome that decimal time will likely never be more than just a novelty. We see this here in the United States as various movements fail to convert the country from imperial to metric measurements. We further complicated time of day with time zones, designed so that noon in each part of the world roughly represents the midpoint between sunrise and sunset, but rarely actually does. 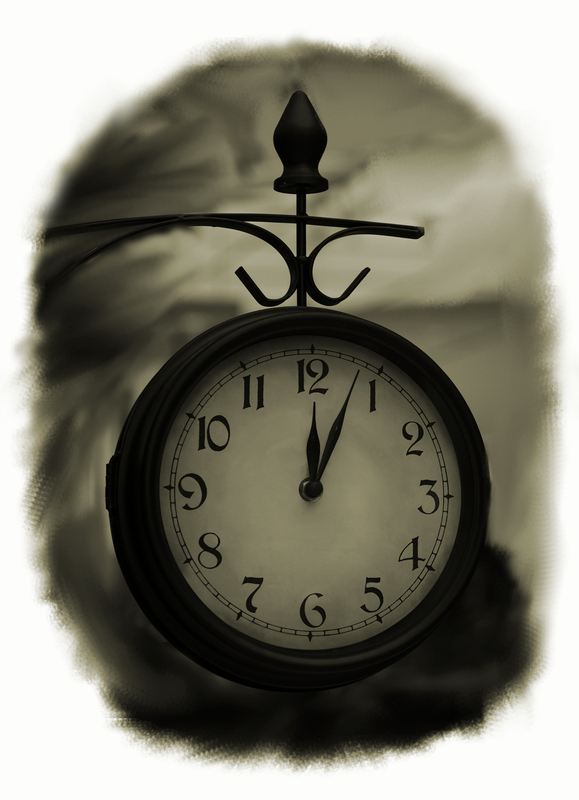 There is some push to eliminate those just as there is a push for the decimalization of time. This is more successful as there are already organizations, such as major world navies, who see the benefit of referring to an exact moment of time by the same numerical representation wherever you are in the world. Thus 0300 Zulu is 0300 Zulu whether a ship is in the Atlantic, Pacific, or Indian oceans. It’s handy for any organization attempting to synchronize around the planet, or even beyond it, something that wasn’t necessary or possible until very recently. So let’s pretend we’re world building time on the earth. 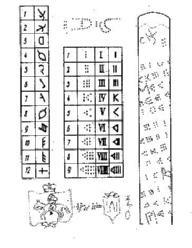 The day was divided into 12 units (and the night an additional 12) because 12 was a culturally significant number for an early culture, in no small part because it represented the number of segments on the fingers of one hand. Hours and seconds were divided five times farther because early cultures would use this counting-to-twelve method on one hand, then use the fingers on the other hand for the multipliers 2x through 5x. Subdividions of seconds are the only units of time that are decimalized because they are only useful to scientists who prefer decimalization because it makes math easier. These divisions have nothing to do with when the sun rises or sets, and even arbitrarily shift by an hour at a time. The earth itself is divided into 24 major time zones (we won’t even start with the minor half and quarter hour zones) one per hour of the day for offset, though these are slowly going away in favor of a universal time. And this is all before we’ve put down our first settlement on a planet that rotates at a different rate than earth, which will further complicate things. So we’re back to the original question. What time is it? It’s a complex question that will deal with the history of your planet and culture, cultural norms, scientific advancement, and ultimately may cause debate and confusion on a planet shrunk by high speed communication. And this is without even asking two far more complicated, but legitimate, world building questions: What day is today? And when is lunch? Railway station clock picture by Wikipedian Petar Milošević, licensed under the Creative Commons Attribution-Share Alike 3.0 Unported license. 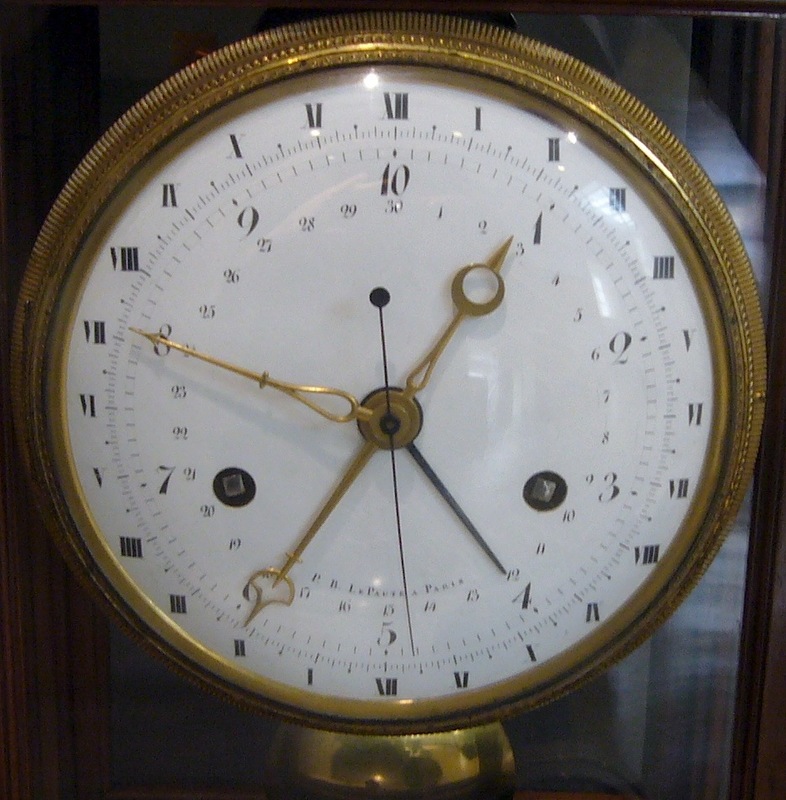 French decimal clock picture by Wikipedia Cormullion, and also licensed under the Creative Commons Attribution-Share Alike 3.0 Unported license. You may think you know how warp drive works. It’s quite simple. A controlled matter/antimatter reaction is focused through a crystal of pure dilithium, which allows a ship to generate a subspace bubble so that it doesn’t experience any time dilation, while the space ahead and behind the ship are warped allowing it to bypass, rather than technically exceed, the speed of light. That’s the explanation, that’s how it works, but the problem is that’s all just fiction. It’s the kind of technological description often called technobabble, a very real and important part of far future science fiction writing where both Star Trek and Doctor Who serve as master classes. Here’s the thing, though. While it might be made up technobabble, every time the warp drive is explained, it’s explained in those terms. Occasionally the explanation is made more complicated (in the original series, there was dilithium, and matter/antimatter, but no subspace bubbling) but the explanation never contradicts itself or changes. The warp core itself, that long tube pulsing with matter and antimatter, even largely looks the same from Next Generation onwards as a visual cue that, while perhaps the technology may be gradually improved on, this is the thing that will drive the ship. Faster than light travel is, as far as we can tell, impossible. But many of us can explain how it “works” because we saw it in a television show that maintained an internal consistency in its explanations. Right now I’m writing a steampunk story that features automatons, and a few other bits of magical technology. The book presents far less of a blueprint about how they work that Star Trek does its warp drive, but that’s because we’re dealing with a smaller amount of time. Star Trek has had 726 episodes and 11 movies totaling nearly 550 hours to get everything right, we’ve just got 90k or so words to establish a world and tell an enjoyable adventure within it. So we drop little details here and there, and strive for that one important thing: the internal consistency. Science Fiction and Fantasy come from similar roots. To oversimplify the two genres, fantasy deals with magic and fey, science fiction deals with science and aliens. Yes, I know it’s more complicated than that, and that there are a lot of cross-over elements, but just to speak in broad terms I’m going to ask indulgence to use that definition. And yes, that makes Vulcans the Elves. Deal with it. What they share in common are the unreal becoming real. Where they differ is how they become real. It’s why the science of science fiction is often called, as I did above, “magical science.” Both require some sort of consistency, though. In the Harry Potter series, magic works by reciting an incantation that sounds like Latin and waving a wand. In other series, it works through the absorption of magic from the world around us. Or in the gathering of components for an alchemical spell. Magic in all these cases is a system. In science fiction, there’s likewise a system. In steampunk, the science happens in boilers and gears. In Star Trek, it’s driven by 200-300 years of scientific advances in all fields. Whenever the Enterprise finds a new space-faring species, they achieved faster than light speeds by discovering matter/antimatter reactions and subspace bubbles. If they aren’t, then a lantern is hung on that aspect, and it becomes a central focus of the episode. We, as an audience, aren’t asked to accept that the technology is suddenly different one week and that the Enterprise is now powered into warp drive by the good intentions of its crew. Which, thank goodness the Enterprise isn’t powered by intentions, or Riker would just have it pointed at Risa all the time. The title of this post comes from a conversation I had with my wife about the technology we’re creating in our world. It’s not entirely the traditional Steampunk technology, because that always leaves us feeling a little flat. There’s only so far you can go with coal furnaces, boilers, and gears…something that reality discovered, and that kept us from actually living the Steampunk fantasy. (Did I say “Steampunk fantasy”? Future post.) But while we’re not explaining the technology as thoroughly as we’ve world built it, we have world built it, we do have our reasons, and it is powered all through a special form of handwavium that we’ve invented and will use and exploit going forward. We’ve decided to discard portions of the standard rulebook and substitute in our own pages, but those are the pages we’ll always use going forward. And when we don’t, trust us, we’ll put a huge lantern on it and make it central to the plot of a book. So don’t worry too much about the rules other people have used. But worry obsessively about your own rules. Because we’re fantasy and science fiction authors, which means we’re catering to a very literate audience who will call us on anything we do that isn’t internally consistent. Oh, and I promised a post on the protagonist and antagonist within The Prestige. That will come later in the week, as we didn’t actually have time for a rewatching this weekend. I’m going to pretend that I intended to create bookend posts for the week, and hope none of you realizing I’m just flying by the seats of my pants. In my State of the Writer post earlier this week I talked about looking for books about life in the 1860s, and being quite excited about finding one actually called Life in Civil War America. It was fantastically on the spot, but it’s not the research book I’m reading right now. Instead, I’m approaching things from the exact opposite direction. Rather than looking at how people lived in the Civil War, I’m fascinated with a book about how people died. 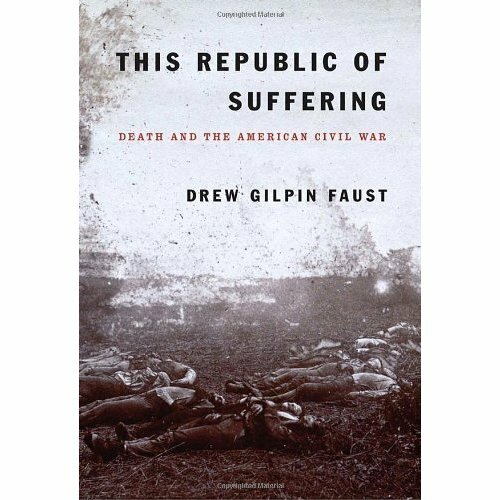 The book is This Republic of Suffering by Drew Gilpin Faust, subtitled Death and the American Civil War. The chapters are simply titled, and currently I’m through two: Dying and Killing. The second is a look at how two dominantly Christian democracies justified going out and killing each other, tied in with the brutality experienced by black soldiers. About just the process of killing a man in the first and last war where guns were powerful and reloadable enough to be repeatedly deadly, but inaccurate enough that soldiers needed to be in close enough range to see their enemy’s faces before pulling the trigger. It’s a chilling outline of the justifications for war and reality of close quarters combat, but with Nickajack not actually set during the war, the information will have less direct influence on the book. What already has influence some Nickajack editing is the first chapter: Dying. The underlying theme of the chapter is the early 19th American concept of the Good Death. The Civil War was certainly not the first war the United States fought in the 19th century. They’d fought a second war against the Brits, they fought a war against Mexico, but the American loss of life in the Civil War was several orders of magnitude greater, so it directly touched more Americans. This was also an America that set out less, that didn’t see children moving several states away from parents, or even grandparents. Deaths also tended to be slow and lingering, giving the dying plenty of time to make right with their god, their family, and enjoy almost a ritualized passing. This was the Good Death. The Civil War disrupted much of this by introducing sudden, violent death to distant relatives on a very regular basis. There was a camaraderie in the war, a banding together in an attempt to bring as many elements of the Good Death to the soldier bleeding out in the field as possible. Informal letters were written home by those close to the dying, whether by friendship or literal proximity. Nurses often stood in as surrogate mothers or sisters for the dying. The stories told are absolutely heart wrenching at times, especially through a pair of songs excerpted in the chapter, one about a nurse kissing a soldier good-bye for his mother, and the other a response from the mother thanking the nurse for giving her son a last kindness as he died. It quicker the death, the harder it was to make it a Good Death. Some soldiers lingered for days with sepsis and could personally write their own obituaries home, others were dead in a moment and those writing home spoke of spiritual readiness in the preceding days and weeks if it wasn’t available at the moment of passing. The Civil War was a kind of widespread death that just doesn’t mesh with modern thoughts. Nearly 2% of the US population of 1860 was killed during the war, whether through battle or disease related to combat conditions. Even the tragedies of 9/11 produced fewer fatalities than either side suffered in the Battle of Gettysburg. This isn’t meant to be a history lesson. Give the book a try, it’s very well written and it tells a story of the Civil War that hadn’t occurred to me. And therein lies the problem and my actual point. It hadn’t occurred to me. It’s easy to not think about death, it’s common to not want to think about death. It serves to remind us all of our mortality, something that is uncomfortable to many, myself included. But that also makes it easy to overlook a society’s view on death as part of it’s overall construct. While familiar with the tradition, some might say cliched, death bed narrative, I never realized how fully it gripped the lives of Victorian Americans. But in a novel where people die, it’s important to know how they would feel about dying, what their society has prepared them for. I learned this lesson the hard way, only after being loaned the book by my father-in-law, and I pass it along now. And this isn’t just about historically set fiction. Any substantially built world where death is going to be part of a narrative, the author should have a notion of how the civilization, or civilizations, view death. If the society has a strong belief in reincarnation, it may be seen as a simple transition. If the society has a strong notion of a glorious afterlife, it might be seen as a more celebratory event. Look at similar real cultures as a clue. Ask yourself questions. What do the dying want out of their final moments? What do the survivors want immediately afterwards? What news may a distant (geographically, not emotionally) relative want? These are important questions, all explored in that first chapter regarding the Civil War, and all may be important within the world if even one character dies. It’s a lesson I’m taking forward, and thus a lesson I hope to impart on others as they write. The conversation went through some permutations of what the opposite of Pacific might be. Pacific came specifically from the Spanish mar pacifico, peaceful sea. Would the opposite be warlike sea? Mar guerrero? Or perhaps hungry would be a better origin. The Hambric Ocean? The Chinese and Japanese would clearly have names for “all that water to the east”, but those names wouldn’t be used in Europe, and thus America. Renaming oceans isn’t really the point of this story. The point of this story is that I would never have considered whether the oceans might be different in our world, because I only ever envisioned our world as the real 1866 plus automatons. But as the story has progressed and as we’ve discussed it, I’ve realized this story is taking place in a small part of a much larger world where there are many more things that are different. Because questions come up like “where do the automatons come from?” and “are they really steam-driven, since there’s not really room for a coal hopper and boiler?” These end up being really fantastic questions that I would have never asked while approaching this world. This is our third time collaborating, but our first time on written-word fiction, and really our first time inventing a world from scratch. Previously we’ve done a spec script that was playing largely in HP Lovecraft’s toybox, and a movie spec that wasn’t anything more than just silly/stupid fun, just to see if we could write something that long together. This is something entirely different, and it’s a process that I’ve needed to get used to. Especially the idea of not having complete control over the creative process. I’m not sure what I expected going into this process. Certainly I didn’t think I would come up with the entire world and plot and just use my wife for her brilliant descriptive writing. But adjusting to a give-and-take of the creative process, of plotting, and especially of world building isn’t something I was entirely prepared for. Questions like “what is the giant ocean to the West of the United States called?” aren’t questions I expected to field, because it’s not world building the way I world build. And they were questions that frustrated me in the early going, because I saw them as distractions from the plot at hand. Which was, I need to stress very strongly, entirely unfair. Now that we’re getting words on paper, these questions are the oddly fantastic nuggets that make me think more about the world we’re creating, and what it looks like beyond the rather tight confines of Huntsville, 1866. A city of roughly 6000, a story taking place largely in 10 square miles, on a planet of 1.5 billion people and 150 million square miles. They’re especially the kinds of things we need to know about the world if this is going to become a series. Even if none of it shows up. Because this is the world that needs to be. So we know what happened in the US presidential election of 1864 when incumbent Hannibal Hamlin went against Democrat Andrew Johnson. But we also know what happened in ancient China that got things going, and what’s different about the Pacific that changes the way the world is tied together. Some of them might end up being important, some of them might be flavor, some of them might just be in our heads. I’ve relaxed. I’ve learned to just let the questions come, argue them out, and see where the pros and cons are. Because that’s what collaboration is, it’s taking the styles and ideas of two people and turning them into a unified product. One of them cannot be closed to the other, or it’s a dictatorship. Which doesn’t work with just two people. So the lesson that I guess I’ve learned about collaboration? Actually collaborate. It’s one of those things that feels so completely obvious to say, but it was still something that I had to come slowly. There’s two things I don’t talk about on my blog or on Twitter: politics and religion. Not because I don’t have opinions, in fact I wear them quite openly on my sleeve in real life. But just…because. There are debates I don’t want to sidetrack either by getting into. However, I don’t think it’s political to say that today is election day here in the United States, and while it’s only local office elections, there are still important issues to decide. It’s your right and your privilege. Go do it. Now. Watch as I take that and turn this into a writing related post. There are several bizarre and arbitrary dates on the calendar. Thanksgiving was originally the last Thursday in November, but was bumped up to the fourth Thursday (though that’s often the same) to extend the Christmas shopping season. Washington’s Birthday never, by the way its definition, falls on his birthday. And has become Presidents Day largely due to the chronological coincidence of Lincoln’s birthday. But perhaps the oddest bit of jiggery pokery on the calendar is Election Day in the United States. First Tuesday. The United States is unique in the world for voting on Tuesdays. The day was chosen to mesh with a more agrarian society, a more rural society, and a more religious society. Tuesday was well free of the sabbath days of the two major faiths, allowing residents who needed time to travel to their polling sites to do so, while also not interfering with Wednesday markets that took place in several towns. After the first Monday. This is basically to say “Election day can’t fall on the first.” In part because the first of November is a holiday in Christian traditions, All Saints Day, which was observed more devoutly in the early periods of the United States. But also because businesses tended to balance their books on the last of the month, and Congress didn’t want grumpy business men fresh off balancing books the night before voting raw emotions. Best to give them a day to cool off. In November. Again, agrarian rural society. November was after the harvest but before Northern states started getting really bad snowfalls. It was seen as a month that would maximize participation. So three quirks, all that have a perfectly logical reasoning behind them, combine to form one of the longest definitions on the American calendar. But I promised I’d tie everything back into writing. So what is my loose connection? When building a calendar with holidays and observances for a world, keep in mind that weird quirks work their way into calendars. Most American holidays have been shifted around to fall on Mondays, in spite of the actual date being remembered, to create long weekends rather than interrupted weeks. Most countries celebrate the birth of either their first and/or current leader. Sometimes it’s rather arbitrary, as the various realms of the Commonwealth celebrate the Queen’s Birthday on various and sundry days, none of which have anything to do when Elizabeth II was actually born. The date of holidays don’t need to make immediate external sense, but they do need to have an internal logic. Even if that logic is never explored in the book, it’s something the writer should know about the society. So there you go, my roundabout way of turning Election Day into a thought on the writing process. Convoluted? Sure. But convoluted is what I do best. Aka: the morphology of Science Fiction. Over in Unleaded this week I talked about science fiction that lacks variation in phenotypes among alien species. Here I’d like to talk about science fiction that has an abundance of variation in morphology. And, oddly, just as I used the Na’vi as an example of a lack of the one, I’m going to use Pandora as an example of the abundance of the other. Look around you. Okay, perhaps not right now, because you’re at your computer and not in the middle of the zoo. But perhaps you can see non-human mammals from where you are. Pet dogs or cats, a gerbil or a hamster. While there are a lot of ways they differ from you, they’re smaller, they’re fuzzier, depending on their species they poop in a box. But they have faces. Two eyes, two nostrils on one nose, two ears, one mouth. They have four limbs. Go to the zoo. Look at the mammals. Look at the reptiles. Look at the birds. Look at anything with a backbone, and what will you see. Two eyes, one nose, two ears, one mouth, four limbs. Even going back to the dinosaurs, there’s the same quantities of the same five features. This is common descent at work. Evolution found a formula that works, works well, and even while whole scale changes happen to species those few constants have remained. Now look at Pandora. Lots of six-limbed creatures, lots of four-limbed creatures. Enough of a combination between the two that, during the movie, I had to work out just how such different morphology came to being on Pandora. Which species shared common ancestors. The fauna presented just didn’t offer enough similarities to the Na’vi for me to feel like there was a common ancestor. Is this a big problem? Probably not. Are there people reading this who never gave a second thought to that? Absolutely. But it is one of those things to keep in mind when creating a new world, first to ask yourself whether it’s something you care about, whether you care if other people care about it, and then if you decide you do…what exactly you want to do about it. This may involve another phase of your world building, but the resulting world will potentially be deeper and feel more cohesive in the end.